Now Online at Shopbop: Ace & Jig 4th Drop New Arrivals — Plus an XO! Is it just me or does it seem like 4th Drop happened in a flash? Maybe because I'm sadly beginning to get used to all those doublegauze delays (that hopefully have not become the norm — I'm still waiting on an Emerald dress...) or maybe it's that the textiles weren't quite my cup of tea for the most part... I'm most definitely behind on all of the try-ons and reviews, 'cause it's all starting to pop up online! Regardless, it's here! 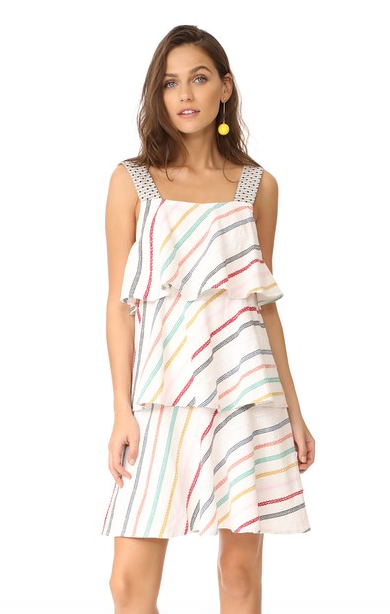 In stores and online already at Shopbop! Get the full scoop below, or just shop now! Of all the pieces this drop, the Teasdale Dress in Ivy (above) is my one must-have. I tried it on over the weekend at Oroboro, and it was LOVE (photos and review to come). 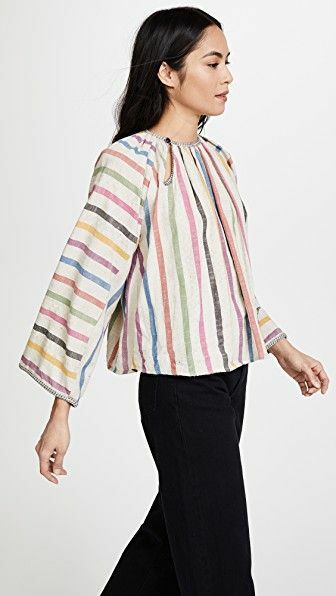 Read my review of the Ivy textile here. 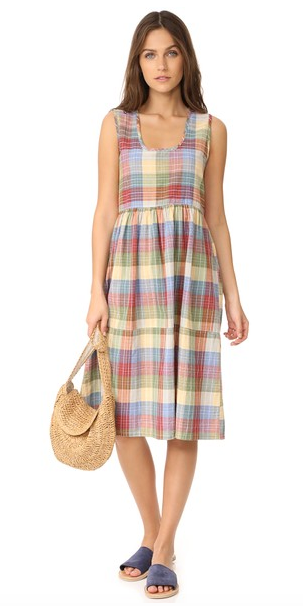 If you didn't get enough of the Teasdales this season, this Teasdale Dress in Madras should do it for you! Madras is a super lightweight singlecloth with thin, tightly-woven metallic threads that don't itch. A great summer option for hot climates. Read my review of the Madras textile here. And of course, the XO reveal! 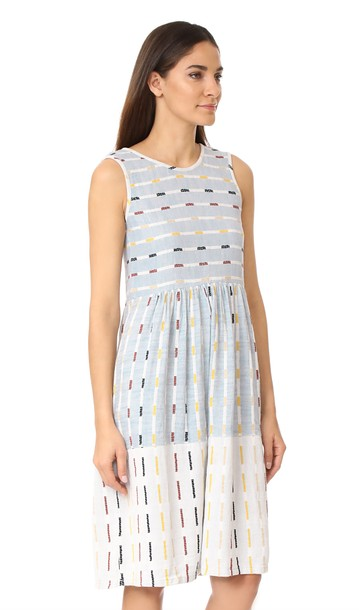 The Simone Dress in Merry appears to be an XO, and I have to say that it's pretty cute! It's far girlier than I usually go, but the minidot straps are actually pretty darling, and I could see this being a very sweet summer dress... for someone else.